When asked if he supported the bill, Gov. 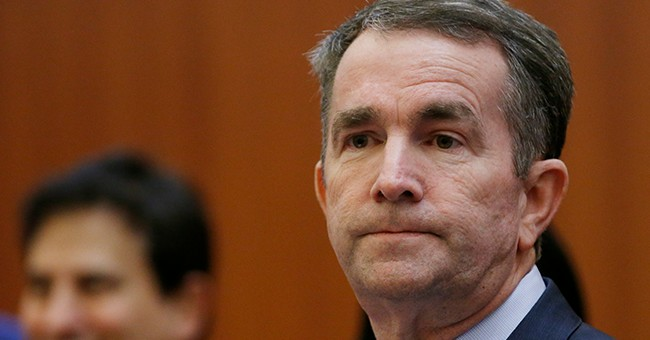 Northam argued that decisions by physicians can be made to allow an infant to die even after birth. Tran said she misspoke, but the damage is done. Not only that, but there are videos of the two seemingly promoting straight up baby killing. This is Kermit Gosnell territory. It’s sickening. It’s wrong. It’s immoral. It showcased the Left’s extreme lurch into extremism on abortion. Tran’s Democratic colleague in Virginia’s House of Delegates, Dawn Adams, had to apologize to her constituents for co-sponsoring the bill, saying she didn’t read it. Northam has remained unapologetic about his remarks. Well, he may have more headaches than just people calling him out for his appalling remarks about late-term abortion. It seems an old yearbook photo of Northam’s days at medical school contains some problematic material. An alleged photo that’s been circulating social media purports to show Northam in blackface or a Ku Klux Klan outfit while he attended Eastern Virginia Medical School back in 1984. If true, then how did Ed Gillespie’s team and the Republican Party miss this during the 2017 gubernatorial election? It should not be that hard for a credible source to go check if that is actually Ralph Northam's yearbook, before we draw any conclusions about it. I find it hard to believe nobody caught that before now. The fourth photo on the half-page has two people, one wearing white Ku Klux Klan robes and a hood, the other with his face painted black. The person with the black face is also wearing a white hat, black jacket, white shirt with a bow tie and plaid pants. Both are holding canned drinks. It’s unclear who the people in costume are. The governor’s office did not immediately respond to requests for comment Friday afternoon. Flashback: These Northam campaign ads and materials seem a bit awkward now. UPDATE: It’s a full-blown dumpster fire. Folks are having fun ripping Northam right now, playing off his abysmal remarks about late-term abortion. No comment from the governor’s office yet, but his nickname at VMI was rather…problematic. Also, again, GOP, how did you miss this in 2017? Can we get the name of the oppo research firm for Ed Gillespie's campaign? Asking for a friend (who never wants to hire them). Would be worse for him to be in the blackface or the Klan outfit? Ralph Northam will now be kept comfortable while a discussion ensues. JUST IN: Lots of questions about this yearbook photo from @GovernorVA 's alma mater, which is circulating. Working to find out more. A spokesperson for @GovernorVA's office says they do not have a statement at this time. Micah Rate contributed to this post.